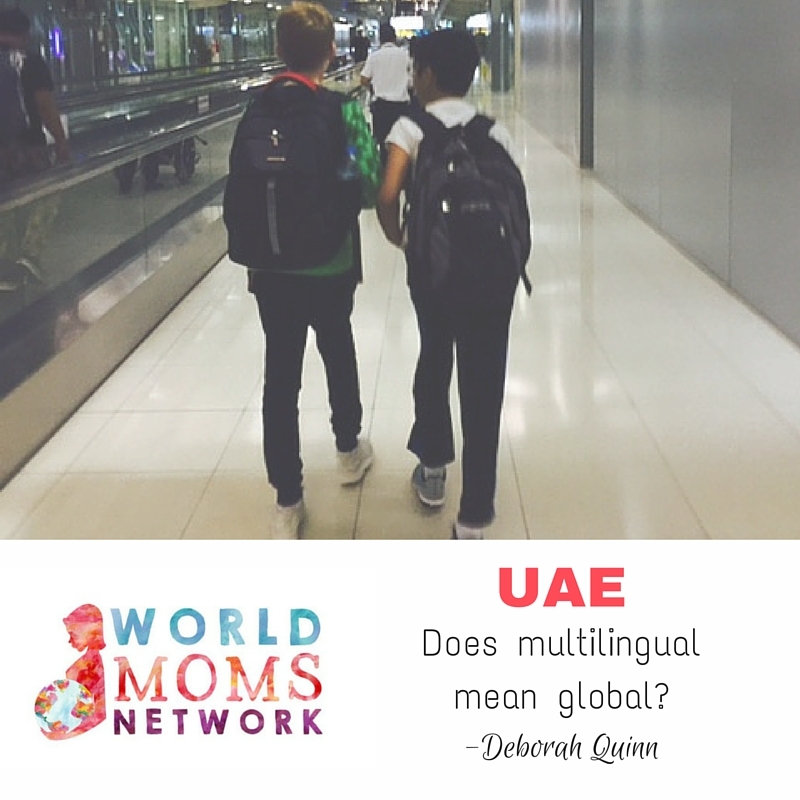 UAE: Does multilingual mean global? When we moved to Abu Dhabi from Manhattan five years ago, we intended to stay in “the Dhabs” for a year. Our kids had scored the Manhattan Grail: spots in a “gifted and talented” public school, which meant we wouldn’t have to sell everything we owned to pay for private school, and if we stayed away from the city for more than a year, we would lose the seats. “But you have two spots at the school,” people said to me when I told them we were leaving. To ease their doubts, I kept talking about the benefits of an international education and experiencing different cultures–but to tell the truth, I think I was trying to convince myself. After all, if you’re a student in a Manhattan public school, you’re going to be connect with kids from around the world; it’s unavoidable. Did we really need to move halfway around the world to get a “global experience?” I wondered. Three-quarters through our first year, we decided to take the leap and sign on for another year (or four) of expat life. A year just didn’t feel like enough time: we would have been packing up to move back just as we were starting to settle in. I felt as if all the energy (and exhaustion and not a few tears) that went into adjusting would have been wasted if we returned to New York after just a year. The boys are studying Arabic in school, and in our travels through the region, they’ve picked a few phrases here and there — mostly “hello” and “thank you” and “chocolate” — in Sinhalese, Punjabi, Italian, Swahili, Korean. The trips we’ve been able to take from Abu Dhabi would have been impossible from Manhattan, especially on the salaries of two literature professors, and so in that regard, our expat life has delivered the sort of global awareness we were hoping for. Or at least that’s what I think on my optimistic days. On other days, I wonder: does the simple fact of being able to say “hello” in eight different languages really make you globally aware? I suppose my wavering back and forth is just the expat version of questions most parents ask themselves–“is this school the right school,” “are we doing the best we can for our kids”–and we all have good days and bad days in terms of those answers. 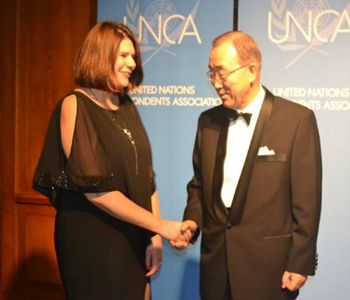 How do we raise global citizens? That question, in the light of “Brexit” and the demagoguery of Trump, seems increasingly important, even as the answers get more complicated. Argh! A blow straight to the heart! How had he gotten the idea that my husband and I would resent the money we spent on airline tickets if he didn’t do well? Suddenly I was the one almost in tears. I assured him that we didn’t think it was a waste at all and that we were ridiculously proud of him already, just for doing the work to get this far. “Being able to do things like this are why we moved to Abu Dhabi,” I said. “We couldn’t afford flying to Bangkok if we still lived in New York.” My son nodded, vaguely reassured (although still nervous and still in the grips of sibling rivalry). What I realized after our conversation, is that yes, this experience is part of why we moved to Abu Dhabi, even though at the time we’d never heard of the World Scholar’s Cup. Even with the international flavor of New York, this sort of intense week-long bonding experience with kids from around the world would not have been possible. This experience, of negotiating differences and finding connections across cultures, will go a long way (I hope) in establishing the foundations of a global citizenry. C. will remember this week in Bangkok long after he’s forgotten how to say “hello” in Sinhalese. For this week, at least, I’m pretty sure that becoming an expat family was the right thing for us to do. What about you? How do you raise your global citizens? 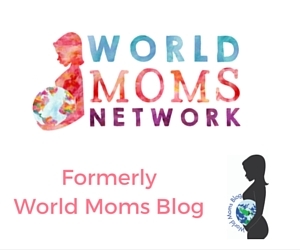 This is an original post to World Moms Blog by Deborah Quinn, Mannahattamamma of the UAE. Photo credit to the author. After twenty-plus years in Manhattan, Deborah Quinn and her family moved to Abu Dhabi (in the United Arab Emirates), where she spends a great deal of time driving her sons back and forth to soccer practice. She writes about travel, politics, feminism, education, and the absurdities of living in a place where temperatures regularly go above 110F. Deborah can also be found on her blog, Mannahattamamma.